Why update to the pro 3. 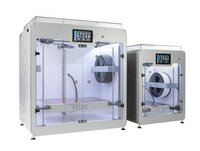 Get the best out of FDM 3D printing with the FELIX Pro 3. The upgrades gives you an as good as new printer. 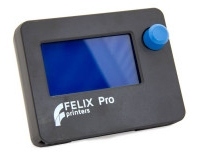 The features of the Pro 3 give you the following benefits compared to the FELIX Pro 1 or 2. Better Performance. The print quality is improved in terms of detail and consistent extrusion. The hot-ends are more stably fixed in the extruder and also the new hot-end with small heater body gives better performance. The airflow is now coming from 2 sides giving a nicer print results and overhangs are printed better from all sides. 2x Faster dual head printing. The small heater body, ensures very fast heatup and cooldown times, making extruder switching approx 2 times as fast! Bed leveling is more reliable and accurate due to improved construction. Remove large 3d printed objects easily and without damage. The new magnetic flexplate solution. Easier maintenance. The new extruder construction enables even easier hot-end replacement and further maintenance if needed. Saving you precious time. Improved reliabilty. The z-sensor to sense the bed and also enable automated features, is now more reliable due to changed contact material and construction. Also there are no critically moving parts anymore. The cable assembly is changed and also the bed contact pins are exchanged by the flexplate solution with fixed wire. A fully checked machine and updated with tweaks to the latest standard. If applicable and necessary the following gets also replaced. New touchscreen + camera, with printfarm and remote print monitoring capabilities.